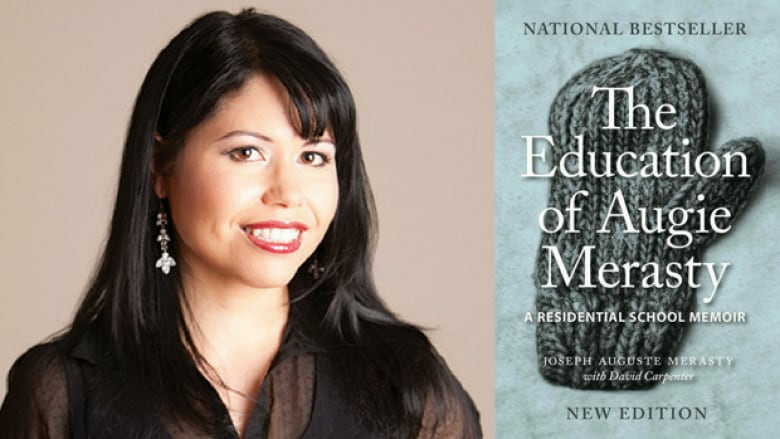 In recognition of Indigenous Book Club Month, every day in June an Indigenous writer recommended a book they love by a First Nations, Métis or Inuit author from Canada. June was Indigenous Book Club Month. Every day in June, CBC Books published a recommendation from an Indigenous writer for a book by another Indigenous author. Dawn Dumont recommends The Education of Augie Merasty by Joseph Merasty, co-written with David Carpenter. "Merasty describes how families would prepare one another for the abuses that were waiting for them in the schools. They would give warnings. It reminded me of my dad's grandfather approaching another a slightly older student, Ernest Tuckanow, on our reserve and asking him to watch out for my dad. It is the kind of preparation that one would expect for heading into a war zone rather than a school. As a writer, Merasty is always the optimist trying to focus on the best — we see this when he opens with stories about the 'good ones.' Merasty depicts the abuse gently, as if trying to protect the reader. It worries me that sharing it hurt him and that he had no one there to protect him from this second level of abuse. Merasty made huge sacrifices to write this book and I believe Canada owes him the obligation to read and learn from it. I also extend thanks to David Carpenter. Without him, we may never have gotten to read Merasty's story." Dawn Dumont is a comedian, actor and author from the Okanese First Nation. Her books include Nobody Cries at Bingo and Rose's Run.